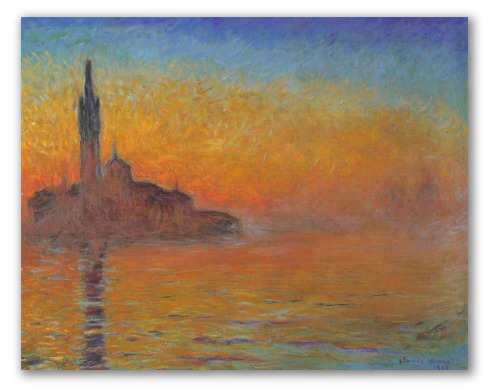 "Sunset in Venice" by Monet, Painting at Bridgestone Museum, Replica. An impressionist painting by Claude Monet, 1908. 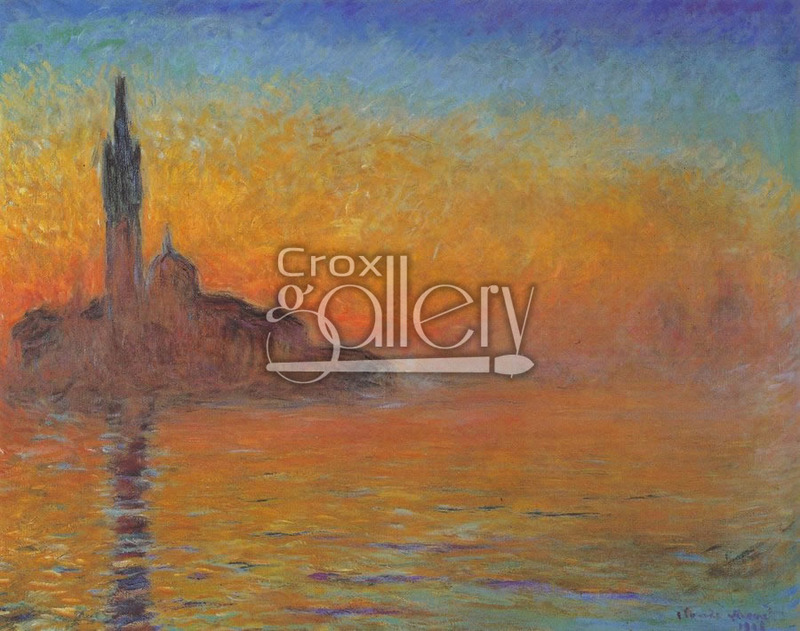 One of the most respresentative works of the artist, this painting is characterized by the orange colors with which the artist reflected a beautiful sunset in the Italian city of Venice. One can figure out that the shadow represents the Cathedral of Venice. This painting is currently on exhibit at the Bridgestone Art Museum in Tokyo.